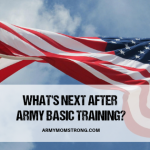 Many years ago when I was starting my journey as an Army mom, I harbored much anger towards people not connected to the military. When my son was deployed, many well-intentioned friends or co-workers asked me questions or made comments that hurt me. I know they didn’t mean to hurt me, but I took it all so personally. Anger welled up inside me with comments like, “He’ll be OK” or people asking me why I let him join the Army. I didn’t like how the way that anger felt and those friends didn’t like me much either. Have you ever felt that anger towards another person when they ask questions about your military service member or comment about the war? Being angry at others felt awful. I had to ask myself: Who was I becoming? That was then. This is now. I gained a different perspective through hard work on me and a determined effort to change. As an Army mom, I want to be a good example for others in the same way that my son is a good example as a defender of freedom for our great nation. 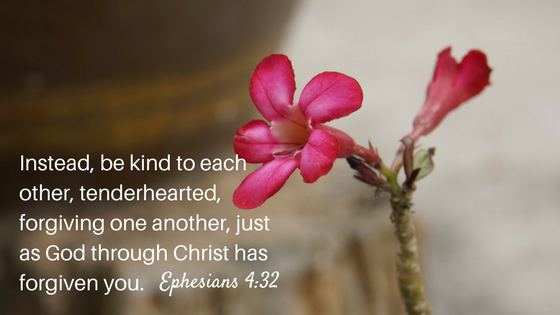 I strive to be kind and gracious to others regardless of what questions they ask or comments made. In a world where there is already so much anger and hatred, I don’t need to contribute to it. I used to compare the mom whose heart was missing her child away at college to my own child fighting a war on the other side of the world, thinking she had no right to have an aching heart. Boy, was I wrong! No matter where our children are or what they are doing, any mother’s heart will ache and her pain is not less than mine regardless of where her child is. Lesson learned! I strive to be an example to others, letting them see my kindness and strength. I no longer have any angry feelings towards others. They can ask me anything they want about my son. It’s a chance for me to happily educate them about what’s happening in the world, the type of job my son does and how important our military is to this country. People don’t understand and so I love when they ask questions of me. It’s a chance to spread awareness about the military community and help others to understand it better. For that I am so thankful! “Be All You Can Be” was the Army’s slogan for 21 years. It inspired a nation of young people to become their best by entering into military service. As an Army mom, I will continue to “be all I can be.” Let’s be a shining example to others through kindness and grace, and be our best! Thank you. Mine heads to basic and AIT July 10th. I’m ok, for now, but he’s my baby and he’s close to his sister and I, with a good relationship with my husband. Is there anything anywhere that provides support? Encouragement? Somewhere that moms or sisters can ask questions? Something made me come here and I thank God I did! I felt so alone because no one gets how I feel unless a child of theirs are serving. My son just graduated Infantry at Fort Benning June 2, 2017…he was in hold over for a few days to start Airborne., which strated yesterday, so now that’s 3 weeks. He calls me last night and now was offered rasp which starts after Airborne. I feel like I’m in this alone and am kinda well I’m scared! So yes please if if you can send me where to purchase it I would really appreciate it and I THANK YOU VERY MUCH!! My heart, my 26 yo Grandson will be leaving next week for his MEPS in Montgomery, AL. and swearing in. I’ve never been prouder. Where can I learn about where his basic training will be, etc. I want To learn everything I possibly can so I can be a great support team for him. Thank you for this. My son is leaving soon and everyday I cry at the thought of having to say that goodbye. So many fears, so many unknowns. I struggle to go to work because what’s the point? The whole reason why I worked hard is now leaving. So I’m glad I’m not alone.